We know third places are that familiar social gathering place away from home and work, and we’re thankfully witnessing a renaissance of them in neighborhoods everywhere. So, it was inevitable that as more creatives turn to more natural means of transportation we would start to see third places for biking commuters, aka urban bike stations (thank you Springwise). Chicago: McDonald’s Cycle Center, a 16,000 s.f. station located in Millennium Park since 2004, features a cafe (essential to a third place). Membership is $20/month. 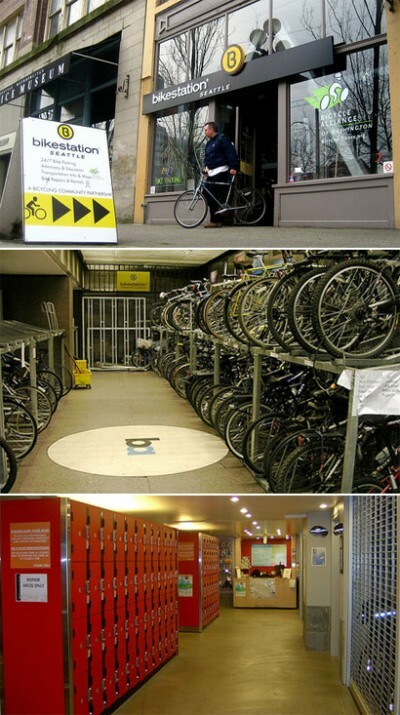 Aukland, New Zealand: BikeCentral Membership is NZD $25/week. The benchmark for biking third places, with a fresh food cafe and free wi-fi. Berkeley, San Francisco, Long Beach, Palo Alto and Santa Barbara, California, or Seattle: BikeStation While it scores high in ubiquity, it needs a venue for social interaction. Membership is $12/month.